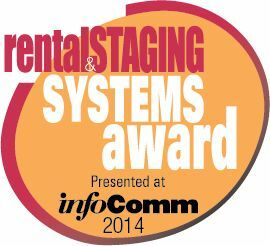 The 2014 Rental & Staging Systems/InfoComm New Product Awards are open for online entry, but the deadline is approaching. The new extended deadline to enter the Awards is Monday, March 24th. The Awards recognize the best new products introduced from June 2013 to March 2014, for either the staging market, or the AV rental market.